You get the best opportunity of watching whales in Bermuda during the Spring time between March and April. This is when the humpback whales migrate from the Caribbean water zone to the north Atlantic feeding zone. The whales usually have a regular pattern of behavior and a migration route. During the winter, the humpback whales of the Atlantic prefer the Caribbean tropical zone for mating. And during the spring, they migrate towards the north Atlantic zone for feeding. About 15,000 Humpback whales migrate every year. They travel for about 16,000 miles during this time. This is considered as one of the longest migrations in the world by mammals. An adult humpback whale can be from 40 - 50 foot long. Sometimes they can be even longer. On an average, they would weigh about 40 - 50 tons. Being mammals, they need space to find food, to rest and even socialize just like the way we do. Average whale calves are born about 12-15 foot in length, requiring 120 gallons of milk a day and weigh about 3,000 pounds each. So, where and how do you get to see these huge majestic creatures? The best is to take an organized whale watching boat tour. There are several operators in Bermuda who take you to the south shore waters in Bermuda for several hours showing you the whales either from the deck and even through the glass bottom views. During March to April, the water visibility is high and you can clearly see whales through the glass bottom up to 100 feet below the surface. If you can't make it to a boat tour, you can also see them from the shore. Just hold on for a while and I shall soon discuss all the best options. Humpback whales have long white flippers. You can sometimes see them swimming upside down with their flippers in the air. There are distinct black & white markings on the underside of their tail flukes. These marks can be used by experts to identify individual whales. Look for how they slap their huge tails on the water surface. On their slightly flattened heads, you will see bumps. Unlike other species, humpback whales are very acrobatic. If you are lucky, you will see them breaching, i.e. throwing their entire body out of water. As they come out of water surface, they often blow a stream of spray that can rise up to 12 feet above the water. After blowing for 3 to 4 times, a humpback usually dives back into the water and remains underwater for about 15 minutes. There are several boat operators in Bermuda that offer whale watching trips and mostly along the south shore. Over the years, whale watching in Bermuda is catching up and becoming increasingly popular to both tourists and residents. Although whales can be sighted as early as last week of December, the best season is between March to April when the migration takes place. The whales are usually seen at Sally Tucker and Challenger sea mounts which are some 2 to 15 miles offshore. From the boats, you can sometimes see them as close as about 10 feet away. During the season, you are almost certain to see whales in Bermuda from the boats. The average whale watching boat tour costs about $85-95 per adult but varies with the operator and departure location. You need to carry your lunch pack, water, windbreakers, cameras, drinks etc. Alcohol is not allowed on board the cruise. They offer whale watching boat trips during March and April. The boat leaves from their own dock at Hamilton. Update February 2019: BUEI would operate Whale Watching Tours every Saturday, Sunday and Wednesday between March 16 to April 20. Minimum age is 12. Check in time is 9am. Tours end by 5pm. Members: $85; Non-members: $100. For booking & information, call (441) 294-0204, or Email [email protected] or visit the Oceans Gift Shop in BUEI, Hamilton City. Although this center is relatively new, their parent company Fantasea has been running whale watching trips since 1987. Those days they were the only ones offering such boat tours. Their boats have reinforced glass bottom for underwater viewing. The tour duration is about 5 hours and is captained by Mike Heslop who is a 10 year veteran in this field. The boat leaves from Dockyard (next to the dockyard ferry stop) on some days of the week during March-April. Both Island Tour Center and Fantasea are located at Dockyard Watersports Center, North Arm (Royal Naval Dockyard). Island Tour Center also has an office in Hamilton (Albuoy's Point, 5 Point Pleasant Road). They operate from Somerset Bridge Marina which is located at the western side of the island in Sandys near the dockyard. Between March and April, they usually operate three times a week. The trip lasts for 5 to 7 hours depending on whale activities. They too offer whale watching boat tours in spring time. They offer a 45-foot luxury charter yacht AJ's Wings in March and April. They offer whale watching tour in private groups in their 40-ft boat. The boat can accommodate up to 16 persons. The tour is usually for 4 hours and costs $75 per person. You can also customize the tour. They are located at St. George's. The best place for whale watching from the shore is West Whale Bay Beach at Southampton Parish. Take a taxi and come to the Whale Bay Park. There is an open area from the cliffs that gives you a great vantage point to watch the humpback whales beyond the reef line. But you will need a binocular to make the most out of such experience. 1. Check out Bermuda Animals & Wildlife for full information on Bermuda's animal habitats. 2. 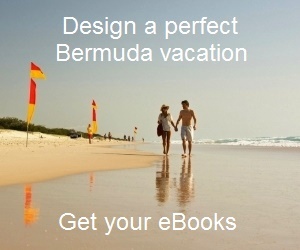 Check out Bermuda Activities to know about all the popular activities in the island. Hello, Went to Bermuda for my 40 birthday last year but couldn't do whale watching because it was cancelled due to winds. Heading back to Bermuda in June and I know whale watching is not available. My friends and I are willing and contemplating flying into Bermuda for a day to go whale watching. Can you help me possible plan this out, best whale watching company in terms of number to make reservation, best time between March and April to go, hotel in close proximity and relatively inexpensive as it will only be for evening. We stayed at Fairmont and plan on staying there again in June. Any advice would help make it possible for us to go and greatly appreciated. Thank you in advance. Hi Fantasea is the oldest operator in the island for whale watching boat tours and they are one of the best. Any time between March to April should be a good time, but it also depends on day's weather. I would suggest you contact them and then fix up a date because the boat tours are not operated everyday. You can get in touch with their booking center (known as 'Island Tour Center') Phone: (441)236-1300; Email: [email protected] . Hi, March to April is the best time for whale watching. This is when the humpback whales migrate through Bermuda waters. In July the possibility is low.